The Granite Gurus: FAQ Friday: What color of stone should I put on my fireplace? 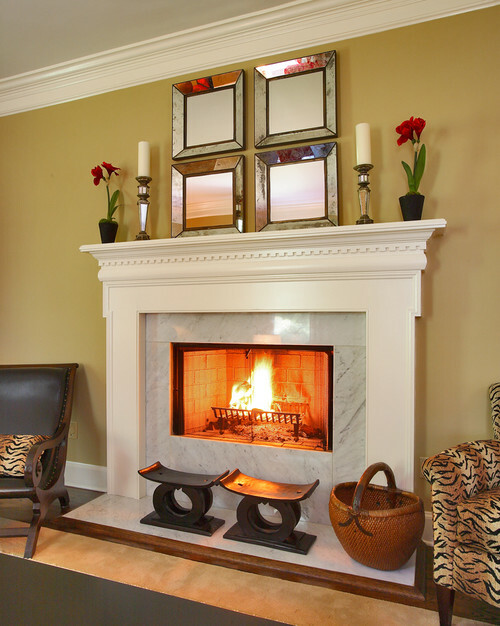 FAQ Friday: What color of stone should I put on my fireplace? "Hi Steph. Your blog has helped me have my 'Dream Kitchen'. I did white cabinets with a dark gray Soapstone for the countertops with white subway tile. It was finally all finished up about a month ago and I love, love, love it!!! I wouldn't have dared use Soapstone if I hadn't read all about it on your blog. Also, I was totally inspired by your weekly Whiteout Wednesdays! My next project is our Great Room which is basically right next to the kitchen. I have a fireplace front and hearth that I'd like to do in slab. I don't want to do Soapstone on it because I'd like to keep it all white. I was thinking of doing one of the white marbles like Calacatta Gold, Statuary Vein or maybe even Carrara. It's a pretty big area that will have slab on it, so whatever I use will be the focal point of the room. My question for you is twofold. 1) Does marble (especially white) hold up okay on a fireplace? and 2) Do you think it would look good to use a white marble if I have Soapstone in the kitchen? Thanks for your help! Again, I couldn't have done my kitchen without you! :]"
Thanks for the email Krista and for all the nice compliments! You are totally on the right track in my opinion. I think Soapstone and the white marbles were meant for each other. Marble does great on a fireplace. Typically you don't have any acids on your fireplace and you also don't really have to worry about staining. Be sure to keep it sealed and you shouldn't have any problems. I'd probably recommend the Statuary Vein because of how dramatic it is. It would make a fabulous focal point. Just be sure to pick a slab of marble that has the same colors of grey that your Soapstone has. 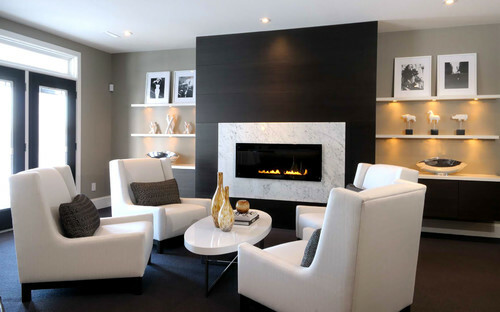 Here are some pictures I found on Houzz of fireplaces with white marble. 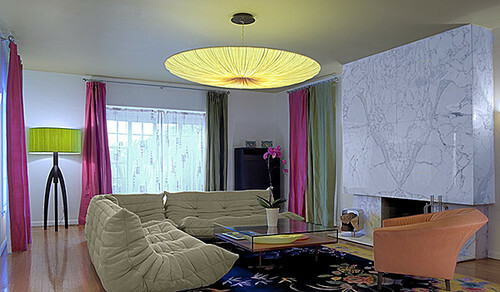 contemporary family room design by other metros interior designer Atmosphere Interior Design Inc. Thanks again for the question Krista and good luck! If you have a stone related question that you'd like to see answered here please send me an email. Thank you sooo much for not only answering my question but including pictures!! !